LG is expected to launch a new device on July 11th that is expected to be the low end variant of the LG G6 flagship smartphone and is expected to be launched as LG Q6. The LG Q6 will have a smaller screen than the LG G6 and will also have downgraded specs from the regular LG G6. LG has started sending the invites for their upcoming event scheduled for July 11 where the company is expected to unveil this new device. 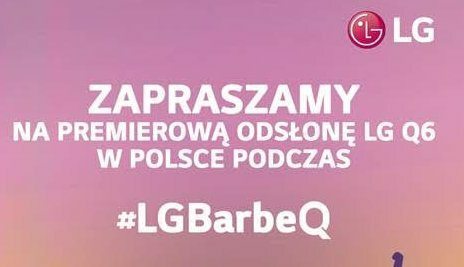 The newly launched teaser comes with Polish text that translates to "Premier of new LG smartphone" means the company is going to unveil the new LG Q6 smartphone in this event. 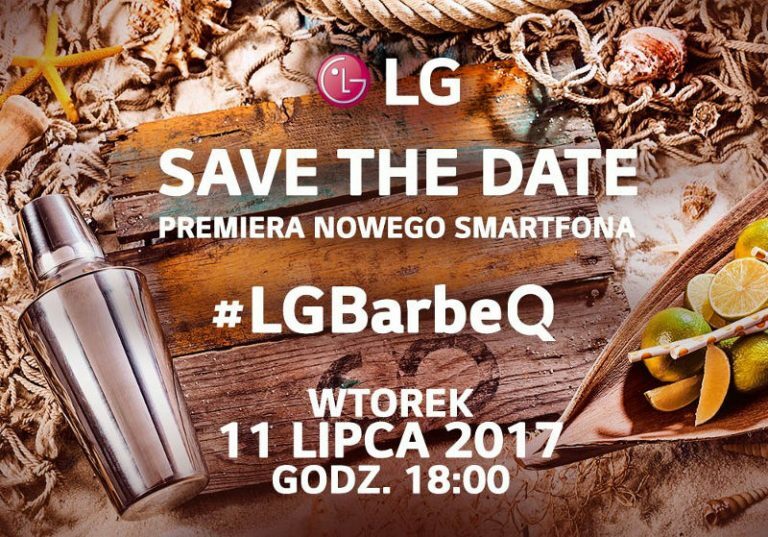 Another leaked image via a Twitter user confirms the name of the LG Q6 launching on July 11th. The official event will start at 6PM Poland Time on July 11th. To recall, the LG G6 was launched back in February with a 5.7-inch QHD+ LCD display with 1440 × 2880 pixels resolution, a 18:9 aspect ratio and 564 ppi. It is powered by a quad-core Snapdragon 821 processor with Adreno 530 GPU and comes with 4GB of LPDDR4 RAM along with 32GB / 64GB (UFS 2.0) internal storage capacity with support for up to 2TB expandable storage with microSD card. It runs on the Android 7.0 Nougat OS with LG UX 6.0 and also comes with Google Assistant support that was confirmed in previous rumors as well. It measures 148.9 x 71.9 x 7.9mm and weights 163 grams. The G6 features 13-megapixel dual rear cameras with dual-tone LED Flash, OIS 2.0, 4K video recording, 71-degree-wide angle lens, secondary rear camera with 125-degree lens along with a 5-megapixel front facing selfie camera with 100-degree wide-angle lens. it is backed up by a 3300mAh battery with Qualcomm Quick Charge 3.0 feature and comes with 4G LTE, WiFi 802.11 ac, Bluetooth 4.2 LE, GPS, NFC, USB Type-C 2.0 and has a fingerprint sensor available on the rear side. It comes with IP68 rating that makes it water and dust resistant. it also comes with 32-bit Hi-Fi Quad DAC and Dolby Vision for enhanced audio performance.